Design will be on a black Unisex Tee in sizes Small - 5XLarge. Pick your size and stone colors. We do not do custom designs at this time, however we can make modifications to stock designs. I love my bag! It's so cute! Thank you so much! So cute! Thanks so much!!! All items are made to order specifically for you, so unless it's an error on my part returns are not accepted. Please double check your order prior to completing. Feel free to contact me with any questions before, during, or after the order process, I'm here to help! Custom/Specialty apparel orders and decorated apparel orders cannot be returned. I love what I do and hope that it shows through my work and communications, but sometimes I make mistakes if I do please email and I will work hard to ensure you are 100% satisfied with your order. Shipping is by USPS First Class Mail with tracking. Illinois residents may arrange for pick up. I really appreciate you taking the time to view my items, and would love it if you see something you like to share via your favorite social media. $25 Basic Text with NO graphics involved. $25 will be applied to order. An artwork proof will be emailed to you before we run your order. 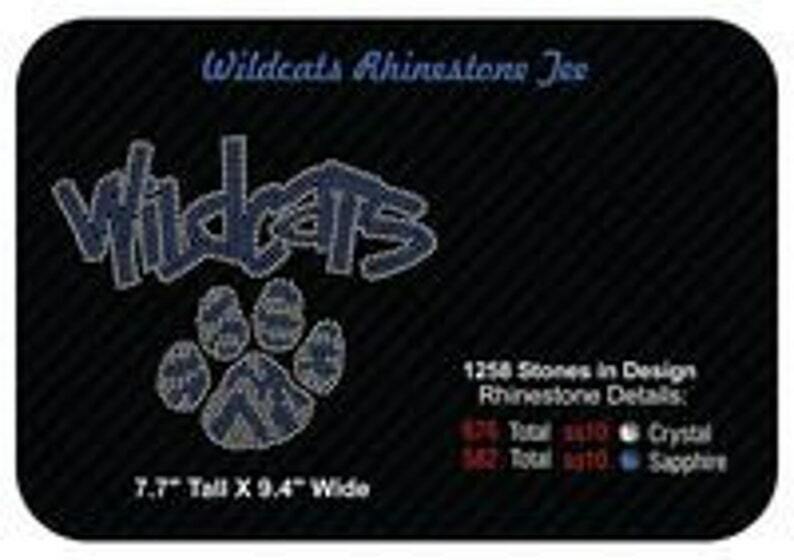 Therefore, returns on custom rhinestone transfers are not accepted.